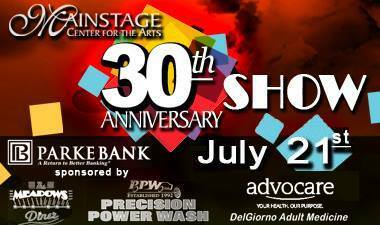 Celebrate the 30th Anniversary of Mainstage Center for the Arts with this musical revue filled with popular numbers from throughout the years of Mainstage evening shows, Summer Stage Children’s Theatre, Harmony & Encore Show Choirs, and more! Featuring alumni, staff, and current members of the program, this walk down memory lane will delight anyone who has enjoyed Summer Stage shows or participated in the program. Please join in the celebration, July 21, 7 p.m. Dennis Flyer Theatre, Camden County College.